ROME (AP) — Former Trump strategist Steve Bannon declared Saturday that far-right “patriots” are the “new elite” of Europe as he brought his push for a trans-national, anti-European Union drive to Italy. 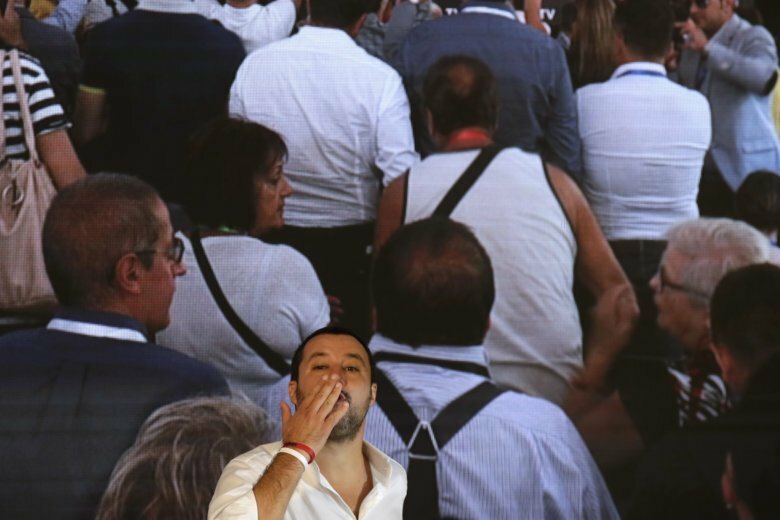 Among the models he cited was one in Italy’s six-month-old populist government, which includes hard-line Interior Minister Matteo Salvini, who leads the right-wing, anti-migrant League party. Bannon, in his comments, encouraged Italy’s populists to push their sovereignty-focused agenda to counter EU policies. He is working to help form a united trans-national front to push politics in Europe far to the right.